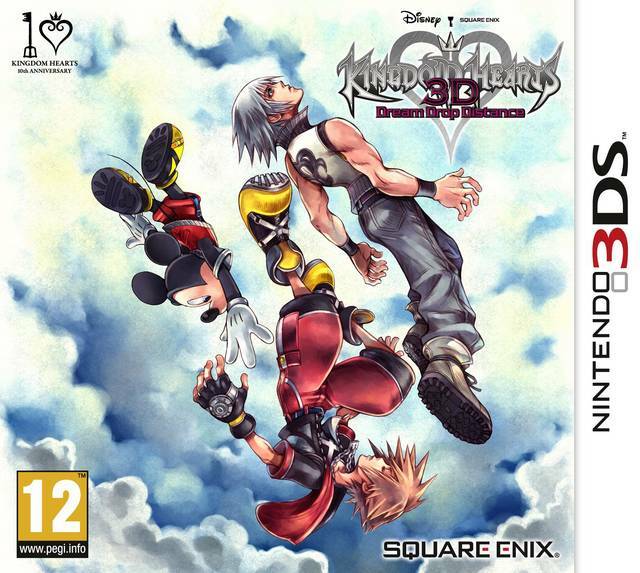 The Kingdom Hearts franchise continues with an outing on the Nintendo DS, working in elements of Birth By Sleep and several elements that would provide a teaser for what was to come in Kingdom Hearts III. But does Dream Drop Distance stand on its own merits, or is this just a glorified teaser and little else? 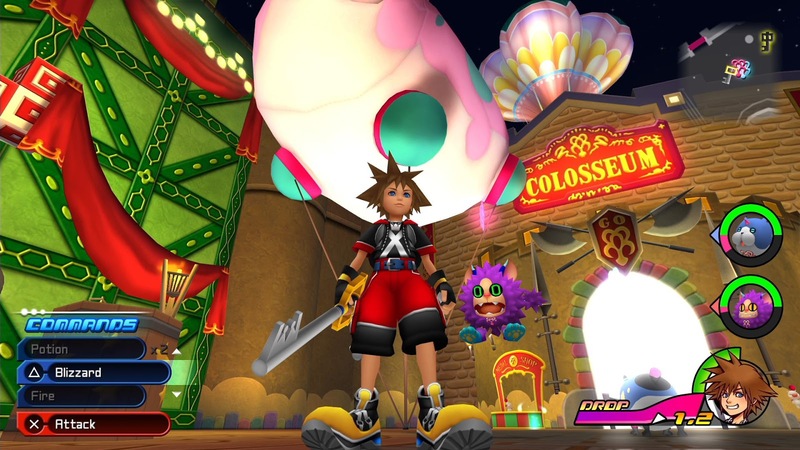 Dream Drop Distance, as with many of the other games in the Kingdom Hearts franchise, serves as something of a spinoff while continuing the running narrative of the franchise; in this case, following Sora and Riku's trials as they attempt to acquire the Mark of Mastery in order to rescue their comrades and confront a returning villain. So those invested in the series likely aren't questioning so much whether this game is good, but whether they'll have fun playing through it and getting all of its optional quests and minigames completed, or just play on a low difficulty and blast through to get the story. Those who enjoyed Birth By Sleep's multi-faceted narrative will have something to like here, as the player controls both Sora and Riku, each following a separate narrative. Unlike Birth By Sleep, however, the player does not play each character's story separately; instead, the game intermittently swaps between them once a bar at the bottom of the screen (the Drop meter) empties, with the other character gaining temporary bonuses depending on the other player's performance (or one can simply skip that and convert their surplus bonus points into cash). Taking further cues from that game, one's repertoire of abilities are fitted into an Ability Deck, operating on a cooldown system instead of a traditional MP bar; each character has a seperate deck, though once an ability is purchased or found, the player can pass it between the two characters freely. Some elements which would later appear in Kingdom Hearts III have their origins here, too. For a start, the player is far more mobile here than they were in any previous Kingdom Hearts game, able to grind on rails, air-dash great distances and dash into walls or railings to do powerful rebound attacks against enemies. One can also utilize their dash to maneuver around the environment, bouncing back and forth off of walls in relatively narrow corridors to reach high areas or stay well out of foes' range. Some objects in the environment can be interacted with in clever ways too, such as throwing barrels to stun enemies, flinging enemies or doing a small rhythm minigame to deal extra damage; on the 3DS version these utilize the touch-screen controls, while the HD port reworks them to use a standard controller. Dream Drop Distance has a crafting system too, though in a rather unusual twist for the series (and RPGs in general), one does not just craft new equipment or abilities, but new party members; the enemies in this game are called Dream Eaters, and as the player makes their way through the game, new types are unlocked and can be resurrected as a "Spirit" Dream Eater to aid them in battle by spending various crafting items. This adds a bit of a Tomagotchi-esque monster raising element to the game, as one can play with their Dream Eaters or gift them items to raise their affinity level, which in turn will bolster their effectiveness in battle and unlock new skills. Additionally, both characters have a "Link Gauge" which is gradually filled by defeating enemies, and once it is filled, the player gains access to a special powered-up form; for Sora, this comes in the form of a Summon-esque special move using a particular Spirit, while Riku temporarily absorbs Spirits into himself to bolster his attacks and gain temporary flight, among other abilities. 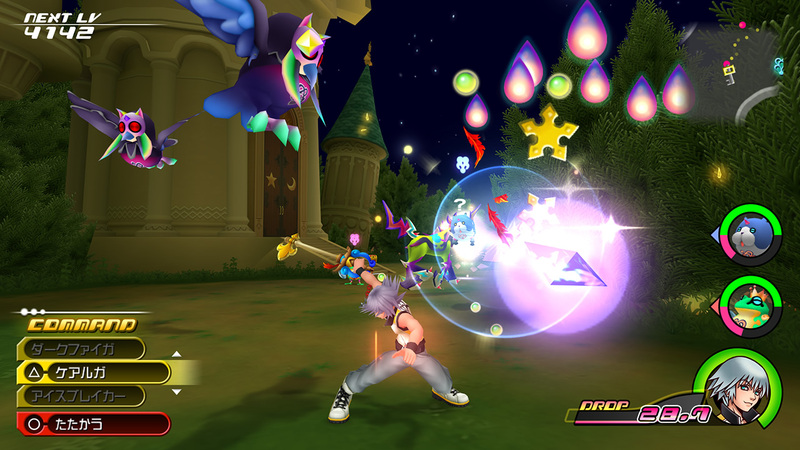 Spirits also serve as this game's Ability crafting system to a degree; instead of being tied to individual Commands and being unlocked with crafting items as they were in BBS, each Spirit has a grid of abilities, which one can spend points to unlock spaces on; once they are unlocked, they are permanently added to Sora or Riku's repertoire, granting them bonuses like extra damage with particular spell types, drawing in item pickups from further distance, or immunity to specific status effects. Not all are available right away, however - some are behind locked spaces that can only be opened once a Spirit reaches a particular level, affinity level, or some other condition is met. So, with that in mind, you will have to spend a fair bit of time fighting alongside and bonding with your Dream Eaters to fully max out your characters. Another minigame soon presents itself too, that being a combat arena with mechanics slightly similar to Monster Rancher - the player selects three Spirits and pits them against a team of three enemies, with the first to deplete all three opponents' health bars being the winner. A small bit of Chain of Memories creeps in here, as (at least in the HD versions) this minigame is driven by card decks unique to each monster. The higher number in a clash will win, though the player can stack multiple cards together to achieve a larger number at the cost of burning through that monster's deck more quickly; however, a star card will always win a clash. If both the player and opponent play a card of the same number, a subgame ensues where both try to match three cards of the same symbol on the center of the board; whoever places the card to make all three match wins. During this, one can also defend to reduce damage taken, or swap a Spirit out to have them slowly (but automatically) replenish their deck on their own - an important tactic as reloading one's deck manually is very slow and leaves their Spirit vulnerable. Coins earned from winning rounds in this minigame can be spent on numerous useful items, usually to help build bonds with Spirits. As is usual for the series, Kingdom Hearts: Dream Drop Distance is a colorful, cartoony and entertaining action-RPG, combining minigames, fast-paced action and a generally light-hearted and silly atmosphere together to create something distinct and fun. 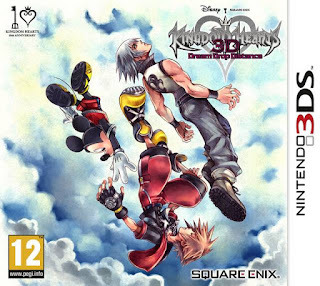 Those looking for an entertaining narrative will have a lot to enjoy too, as Kingdom Hearts is rife with cameos from Disney productions and even other Square properties (including The World Ends With You, which, as a huge fan of that game, I certainly appreciated). There are a lot of new ideas here, but all of them are well-integrated into the experience, resulting in yet another fun and entertaining Kingdom Hearts game. Maybe not one of the best-liked by the general fanbase, but a good one nevertheless. Recommended version: The HD port of the game (Released as part of the the II.8 Final Chapter Prologue compilation for PS4) is a substantially reworked remake of the DS version with less aggressive enemy AI, minigames retooled to use a standard PS4 controller (though at least one still utilizes the touch pad) and, of course, upgraded aesthetics to match the hardware.